Why are so many enterprises struggling to move more process into their shared services and outsourcing? In true HfS style, we've managed to persuade another industry legend, while he was propping up the bar at some event (again most likely in Orlando, but this one's a little fuzzy) to contribute some of his life's work to our charitable research service. And again, in true HfS style, what was discussed over a couple of single malts is translated word for word for public consumption shortly after said inebriated conversation. On the surface, it appears that most enterprises today are taking full advantage of both shared services and outsourcing – last year, HfS Research's State of Outsourcing study revealed that 97% of large organizations greater than $1B in revenues outsource to a degree, and 90% have a shared service capability in place. However, HfS research’s latest survey data, conducted with accounting association ACCA, emphatically demonstrates that only a modest fraction of business process has actually been shifted to either the shared service center or the outsourcing partner. In most cases, over two-thirds of transactional process work is still, bewilderingly, sitting in the business units, despite the proven business benefits of centralizing processes. According to various, widely published research, it seems that the vast majority of “large” companies today are making use of shared services, business process outsourcing (BPO), or both. Indeed, the implementation and operation of shared services and BPO has helped many organizations save millions of dollars/euros/pounds, improve internal service delivery and enhance the control environment. This is what we call the potential “triple benefit” of shared services and BPO). Yet, despite the obvious value, why do so many firms limit the scope of shared services, BPO and broader global business services programs? The results show exactly how much scope organizations exclude from their shared services or outsourcing strategy. Frankly, the numbers are not that impressive. For example, 47 percent of respondents exclude accounts payable, generally regarded as one of the least “core” and strategic processes, from their shared servicing and outsourcing efforts. The figures are just slightly more impressive for payroll, with 36 percent of firms excluding it from their shared services or outsourcing strategies. More startling is fixed assets, one of the most frequently included processes in outsourcing and shared services programs. Nearly 56 percent of respondents still have no shared servicing or outsourcing in place. The amount of scope kept out of shared services and outsourcing strategies is quite staggering. The same study also illustrates that while “moving up the value chain” has long been pointed to as being on the growth path for internal shared services and outsourcing, the reality is that few organizations have shifted higher value processes into their shared services and outsourcing programs. Perhaps for certain functions this is not surprising. For example, 75 percent of respondents have no shared servicing and/or outsourcing in place for financial planning and analysis while tax filing and tax analysis are largely outsourced or included in shared services performed (although only a slight majority, as 43 percent and 46 percent of respondents, respectively, stating that these are still performed in house). While many organizations adopt shared services and outsourcing to some extent, their programs are still nowhere near as broad and comprehensive as they could be. While delivering accounts payable services from a shared service center may deliver some benefits to the organization, in the scheme of things and in the light of the potential scope, if this is all they have done, it is no big deal! Organizations today are still leaving so much opportunity on the table. Looking forward, is this good news or bad news for shared services professionals and the outsourcing providers? The answer probably is that it is both. As highlighted, opportunities abound. Practice and evidence strongly suggests that, where shared services or outsourcing is implemented in the right way (and there is definitely a wrong way to do this! ), the benefits can be very compelling. So, organizations have plenty of runway left to deliver much more value to their “host” businesses. Furthermore, for small to medium sized companies and organizations in the public sector, the opportunity can only be described as massive! For example, shared services in the public sector is relatively new and broader outsourcing even newer. The bad news is that there are real, embedded constraints that have meant that organizations have not moved forward with shared services or outsourcing as far and as fast as they really could or should have. We have all heard about the importance of change management to the successful implementation of shared services and outsourcing solutions. However, it is so poorly described and even more poorly actioned in practice. Change management is not just about “communication, communication, and communication” - it is far more than this. We cannot go into here our detailed views on the impact of poor understanding and approach to change management, except to say that we have seen both great and awful examples, and everything in between. Unfortunately, the ‘not so good-to-awful’ tends to predominate. This delays change, limits growth and constrains realization of the benefits. (Read more in our 2011 study Misunderstood and Poorly Handled: Change Management for Outsourcing). This also links to the fact that, in the real world, organizations always exhibit a great deal of opposition, at least initially, to taking work and responsibilities out from the local business units/departments/countries and moving them to a new organizational service delivery structure. Why is this? It is pretty obvious really. Organizations are “downsizing” scope, responsibility and the size of local teams in favor of more “centralized” delivery structures. And often, many people are directly impacted in terms of their roles and responsibilities, and some of course may lose their jobs. In addition, there is often great skepticism at the local level about centralization and a lack of trust in “Corporate”. This is sometimes quite well justified. This links to another great mistake sometimes made. While there is so much talk about “serving the internal customer”, the methodology to actually put this in place – what is called the customer relationship management framework – is rarely as robust or as comprehensive as it should be. It is “all about the customer.” but sometimes the reality does not reflect this. There are many components of a truly effective Customer Relationship Management (CRM) framework in support of shared services and outsourcing programs and all should be considered to ensure success and, critically, to develop broad, long-term buy-in. Centralization is not the same as shared services, and it certainly guarantees no success. And “your mess for less” outsourcing achieves labor arbitrage, but is not going to build any sort of internal desire for more of the same either. The financial payback times can often be longer than desired, and therefore this can delay making the decision to actually do something. It is also much easier and “safer” to do nothing. We have seen many examples of what is sometimes described as “analysis paralysis”. We prefer to call it a lack of will. Linked to this is what we call “negative collaboration”. There is definitely the need for positive collaboration as part of effective change management and CRM, but there is also the danger of too much collaboration. Consensus is important and any significant change program should encourage constructive criticism, but eventually stakeholders must make a decision and support it, even if they need to agree to disagree. After all, if everyone has to be happy before anything is done, then nothing will get done. There will always be the “what’s in it for me” winners and losers. The key is how to identify who is in which bracket, be honest and clear and support the change, but not be railroaded from the ultimate goal, which will ultimately impact people, by design and necessity. It is no surprise that there is still huge scope and opportunity for shared services and BPO. Our frustration is that the “practitioner and provider community” has not done a better job at selling the benefits, driving broader take-up, and implementing truly customer-focused solutions supported by real change management. There are for sure many excellent examples of success, but there have also been less well-publicized failures. There remains such a significant amount of untapped value. While shared services and outsourcing continues to grow and expand, it still does not grab as much attention in the C-Suite or in general business economics as it should. There is still a tremendous amount of work that needs to be done if this is to change. 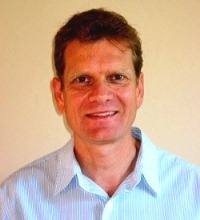 Phil Searle, pictured above, is HfS Research Fellow covering Shared Services Strategies. You can view his full bio here and download a copy of his recent research article here. Brilliant article! if clients are refusing to move more work into shared services, can BPO provide an impetus to force the issue? Having trouble with Shared Services traction? You&#8217;re not alone! | ProcessGo!